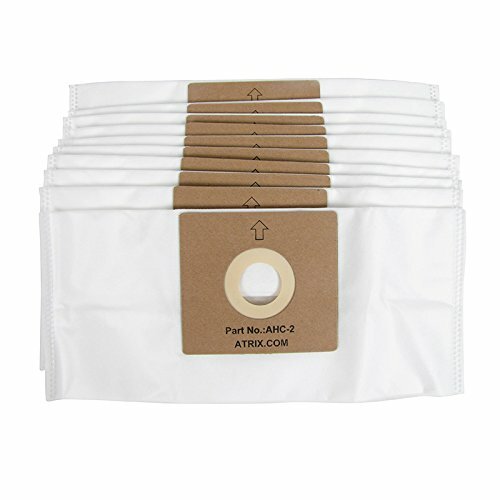 The 10 count pack of canister filters for the Atrix AHC-1 canister vacuum are low priced and will filter out fine particles. Here at Atrix, our mission is to provide quality vacuums with ultra-fine filtration, along with professional services to customers all around the world. We believe in the importance of quality, reliability and service. Our vision at Atrix International is to be the premier industry manufacturer of vacuums with ultra-fine filtration. Atrix has been in business since 1981. Over the years, we have introduced numerous models of Industrial Vacuums including the Omega Plus, the Green Supreme, the HEPA Express, the High Capacity, IPM (Pest), Abatement and HEPA Backpack Vacuums. As a company, we take pride in producing products of the utmost quality and providing our customers with excellent service. Thanks to these efforts, we have been able to build a strong brand with a reputable name. We are proud to manufacture the finest filtration, ESD Safe vacuums that are available. We are one of the few companies that manufacture patented HEPA and ULPA Filters. We also distribute a wide range of Tools, Complete Tool Kits, ESD Safety Products, Smocks and Cleaning Supplies. COMPATIBLE WITH ATRIX AHC-1 TURBO RED VACUUM - The 6-quart HEPA filter bag is compatible with the Atrix AHC-1 Turbo Red Vacuum. The Turbo Red is the perfect vacuum for cleaning around your home, garage, or shop. HEPA FILTER CERTIFIED - The 6-quart HEPA tech filter safely captures particles and debris. Made to virtually eliminate the risk of exhausting dangerous bacteria during vacuuming. 10 PACK REPLACEMENT FILTERS - Each order is a 10 pack of Turbo Red filters. 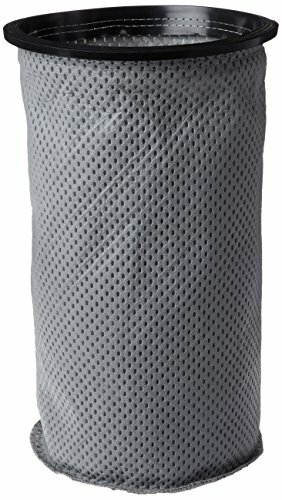 Each filter is a 6-quart HEPA disposable filter bag. PERFECT VACUUM FOR HOME AND OFFICE - The replacement filters will allow you to tackle any job with the Turbo vacuum including home and office vacuuming. HEPA filter is great for cleaning dry or somewhat wet materials like dust, dirt, and debris. EASY TO REPLACE FILTER - When the indicator light tells you that it is time to change the filter, simply install inside the front canister of the unit. 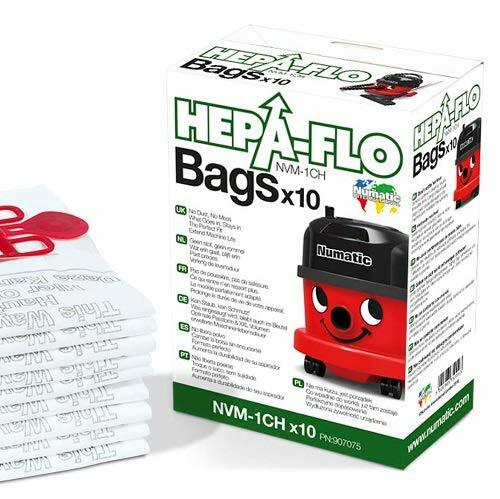 Genuine NVM-1CH Hepaflo vacuum bags for all 180-200 series canisters- including Henry, Hetty, James and Harry. Hepa filtration keeps the dust in and protects the motor from damaging debris. 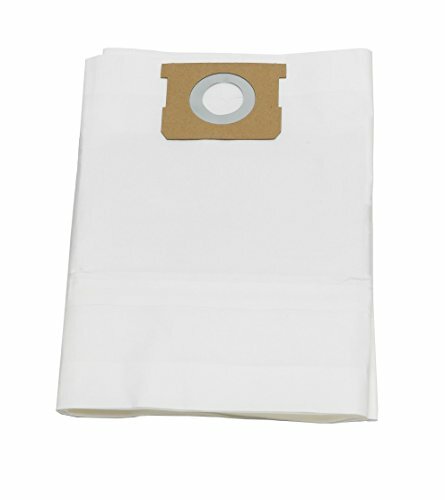 Janitized Tornado Pac-Vac Models: PV6 Premium Replacement Commercial Vacuum Paper Bag; OEM #CMBP-10, C352-2500. when using Janitized brand replacement bags and/or filters, APC provides our Blue Ribbon that meets or exceeds the OEM. 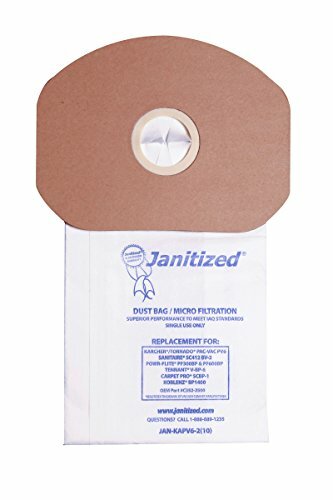 Janitized Euroclean UZ930, UZ930s GD930 DP9000 Z990 Z970 also fits: Viper model MB39CV Mamba series & Pacific Steamex TopVac Premium Replacement Commercial Vacuum Paper Bag; OEM #140701504, #1407015020. 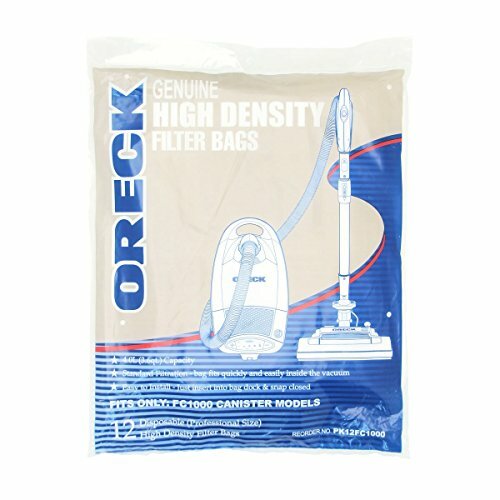 Oreck AK10020, type 1C bag, package contains (2) bags, fits Oreck venture and venture Pro canister vacuums. 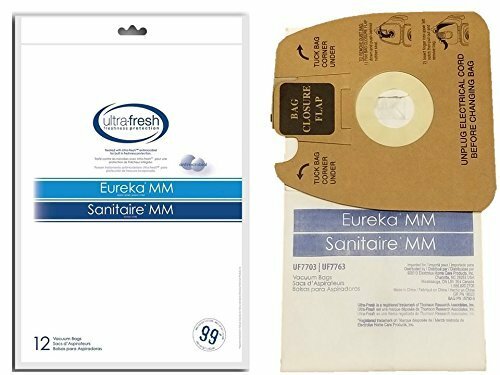 3M Filtrete Eureka MM Micro Allergen Vacuum Bag fits vacuum models EUREKA* Mighty Mite* 3670, 3680, 4100, 4300-4600, 5180 Series Canisters made after 1996. SANITAIRE* Commercial Canisters, including S3681, S3686, SC3683, SC4170 Models. Fits vacuum models EUREKA* Mighty Mite* 3670, 3680, 4100, 4300-4600, 5180 Series Canisters made after 1996. SANITAIRE* Commercial Canisters, including S3681, S3686, SC3683, SC4170 Models. 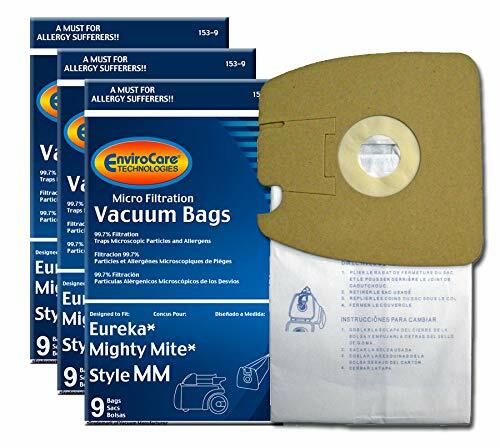 Micro Allergen bags help trap 90% of airborne pollutants 1 micron or larger, including household dust, dust mite debris, grass and ragweed pollen. 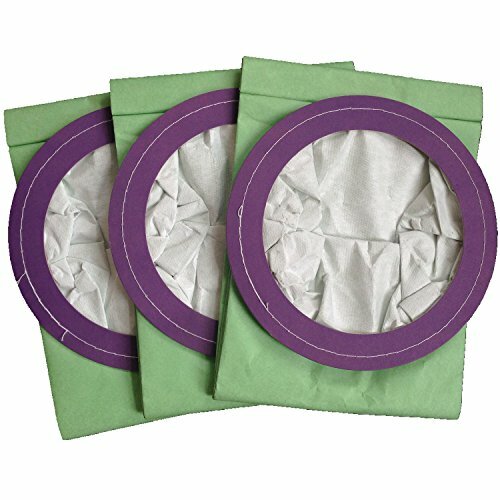 Vacuum Bags should be replaced every 30 to 60 days for optimium performance. 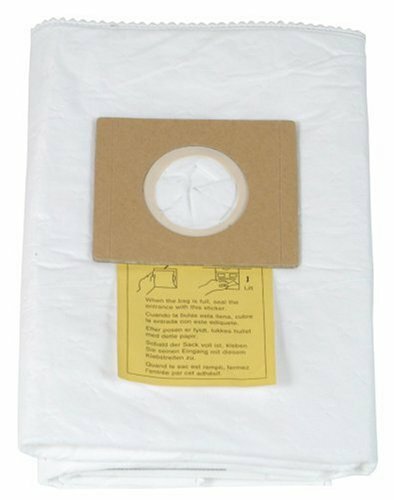 Warranty: Filtrete vacuum bags are guaranteed to be free from defects in materials and workmanship. 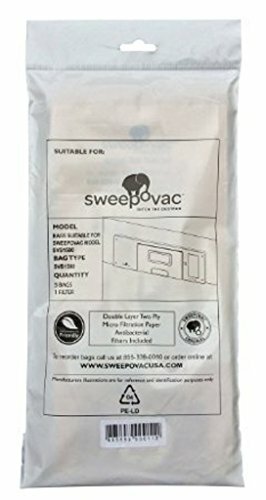 The ProTeam LineVacer 10 Qt micron cloth filter vacuum bags is designed to fit CoachVac, Super CoachVac & MegaVac. It also fits the 10 Qt. Aggressor and 10 Qt. 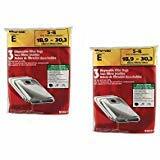 Rubbermaid 9VBPPB10. 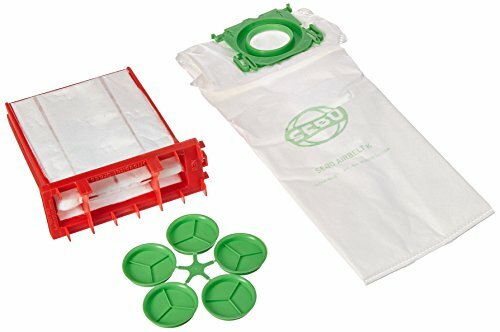 The gasket on the top of the micro cloth filter provides the vacuum seal. Oreck Electritech 5+1+1 Bag Pack, fits DTX1100, DTX1200, DTX1300, and DTX1400. The Service Box contains eight filter bags, an exhaust filter and a pre-motor microfilter. Can be used with the SEBO Airbelt K series. 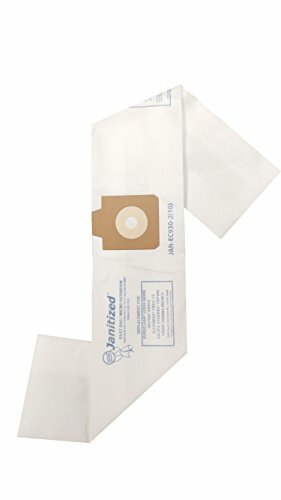 Janitized premium replacement commercial vacuum bags can be used for CleanMax Standard and pro-series, OEM #703910; Tennant V-SMU-14, OEM #9007744; Tornado CK14/1 QD, OEM #06.267. In the event an OEM manufacturer does not honor its warranty when using Janitized brand replacement bags and/or filters, APC provides our blue ribbon warranty that meets or exceeds the OEM warranty. 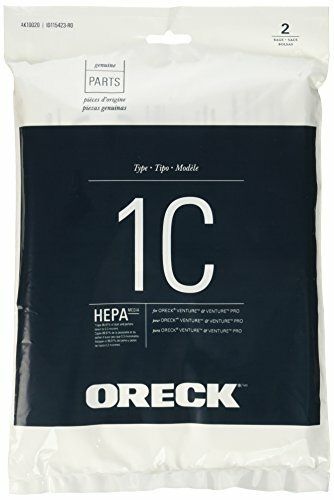 Brand: Janitized | Manufacturer: APC Filtration Inc.
12 Eureka Mighty Mite Style MM & Sanitaire Professional Commercial Allergen Filtration Vacuum Cleaner Bags, by Electrolux Home Care Products Inc.
ULTRA FRESH 12 PACK of PREMIUM replacement vacuum bags by Electrolux Home Care Products. 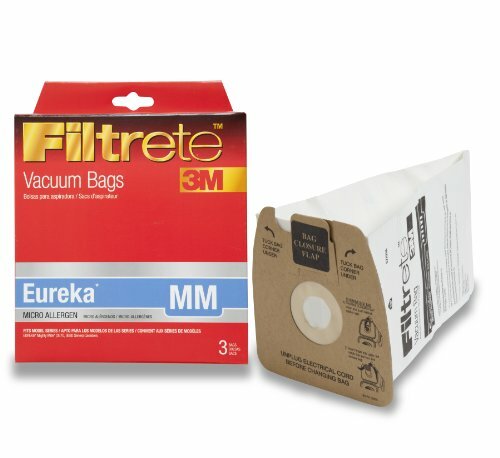 This replaces the original OEM Eureka Style MM Micro-Filtration vacuum bags. FITS ALL Eureka / Sanitaire 3670 ad 3680 Mighty Mite Vacuum Cleaners made after 1996.